For insurance companies, the shift to automated vehicles can be fear-inducing: Automated cars will ultimately result in fewer accidents, leading to rapid remodeling of the insurance industry. According to research by Accenture and the Stevens Institute of Technology, as many as 23 million fully automated vehicles will cruise on U.S. streets by 2035. As a result, insurers could see losses as great as $25 billion. Even worse, a report by KPMG puts expected losses by 2050 at $137 billion. It’s hard for insurers to see these numbers and remain calm, but these projections assume we’ll behave as we always have. Although automation is emerging quickly, we have enough warning to make plans before the technology is perfected, implemented, and trusted — but that window is closing. According to a survey by AAA, 63 percent of U.S. drivers are afraid to ride in a self-driving vehicle. The rate of fearful drivers was 78 percent last year. Many trucking companies are in the same place as the general population — waiting patiently for autonomous trucks to reach a level of trustworthiness before adopting them — with the added layer of waiting for consumer expectations to progress. However, quite a few trucking companies are already implementing automated safety features to reduce accidents caused by driver error, the main cause of all accidents. This is a major reason the American Trucking Association supports automation. Additionally, semi-automation can ease the physical requirements associated with long-haul trucking expeditions, perhaps lessening the impact of the persistent industry problem of driver shortages. Economically, there are benefits as well: Drivers could get the rest they need while enabling the trucks to be on the road for longer periods of time. This, in turn, would make shipping more efficient. The benefits are numerous in terms of driver safety and efficiency, but insurance companies will have numerous complications to manage. To start, rates are largely determined by drivers, so taking a driver out of the equation means we need a new rating system. Automated systems should be safer, but they are not uniform. Insurers will need to understand different systems and how they perform. A fleet of automated trucks could accomplish the same amount of work with fewer vehicles, but that means higher usage rates for each truck. A truck that can drive through the night is going to accumulate more miles faster than one driven by a driver who needed to stop to sleep. Estimates show usage increases in automated trucks by as much as 30 to 50 percent. That will change how trucks are valued. Although the overall frequency of accidents on the road will be lower, the costs will probably be more severe, with high-tech systems that might cost as much as $30,000 per vehicle. Today, injury is often the biggest price tag in accidents, but vehicle and system costs could take over in the future. This raises yet another question: Who is liable for an accident caused by self-driving technology? Current laws might place the blame on the manufacturer, much like airbag or brakes failures, but the new technology will likely warrant new regulations. In this reality, automakers are likely to assume more of the risks and liability of having their vehicles on the road. They could provide insurance to car buyers themselves, eating into market share that traditional insurers currently dominate. The ability to track vehicles might even lead to insurance coverage that only applies to time spent on the road. That’s just a simple rundown of the challenges insurance companies will need to navigate. Successfully rising to meet them will require fundamental shifts in how business is done. Insurers will be facing a new normal. This is a crossroads that is rare in its far-reaching and complex nature, but transitions — even challenging ones — always present new opportunities. Companies should approach this transition with an open mind and evaluate which path they want to pursue. Some companies might choose to sidestep these impending complications by turning their focus to alternative revenue sources such as infrastructure insurance or warranties. But for those that wish to stay the course and adapt within their current areas of expertise, there are a number of inevitable developments the new landscape will require. First, business models must change. Insurance agencies must transform into large commercial insurers writing policies on fewer, bigger risks. At the same time, this transitional period will present opportunities for partnerships with original equipment manufacturers. What these partnerships will look like specifically remains to be seen, but they will probably play a crucial role in making up for losses. Automation is high-tech, and that means big data and analytics will become even more critical for operations. Similarly, advanced actuarial and modeling techniques will become more significant with autonomous features. Insurers are in prime positions to become experts in these areas. 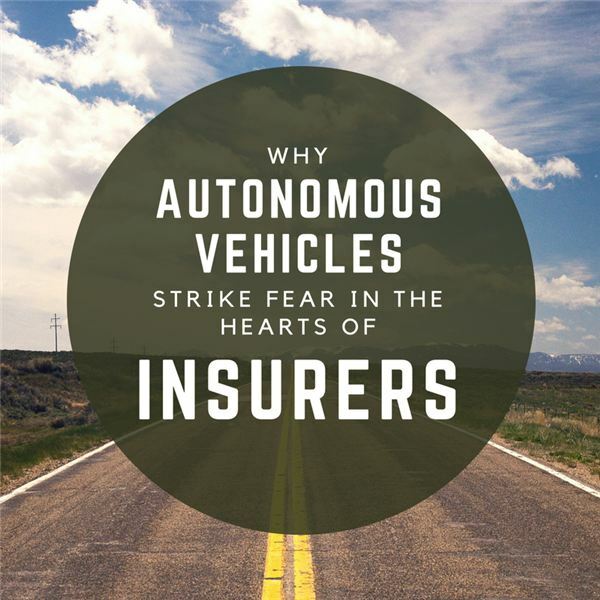 The coming wave of autonomous vehicles will transform the insurance industry in ways we couldn’t even imagine just a few years ago. Such far-reaching changes make it essential that companies start taking steps to prepare for this transition immediately. Who knows? Maybe those who make it through automation will one day get to take on flying cars. David Disiere is the founder and CEO of QEO Insurance Group, an agency that provides commercial transportation insurance to clients throughout the U.S. He is a highly successful entrepreneur who has launched business endeavors in the real estate, oil and gas, agriculture, and automotive sectors. He is an avid collector of classic cars, rare art, first-edition books, and Lalique hood ornaments.